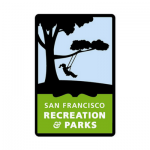 The San Francisco Recreation & Park Department (SFRPD) hosts a variety of programs, camps and classes across 25 recreation centers. With 12,000+ children attending programs throughout the city, the SFRPD is committed to fostering human development, promoting health and wellness, and increasing cultural unity. SFRPD has struggled with a cumbersome process for collecting medical information, waivers, and consents for each of their program participants. Families are required to complete an information packet for each program session their child is registered for, so that records are on-site for the duration of the camp or class. With each child attending, on average, three or more summer camps, the result was a repetitive, inefficient registration experience for parents. It was also a manual, labor intensive record-keeping process for staff. A frustrating registration process: Families were required to fill out the same packet of information for each program session, often for multiple children, resulting in repetition, and wasted time and paper. Concerns over accessibility and security: Finding and accessing specific medical or contact information in the event of an emergency was time consuming, and there was no way to ensure that only authorized staff had access to records. Difficult administration: Paper form collection and storage was an incredibly tedious process for staff, with challenges in identifying whether a child had the required paperwork, and whether information was accurate and up-to-date. Inability to share records: A paper-based system for 12,000 members across 25 different recreation centers meant that records could not be shared between programs, and information was inconsistent. With ePACT, San Francisco Recreation & Park Department transitioned from a disconnected, tedious process to an efficient, standardized system. Since implementing ePACT in the summer of 2016, SFRPD has enjoyed positive feedback from administrators, frontline staff and families praising the system’s ease of use, convenience and accessibility. 85% of invited families are active in the system, and SFRPD is on track for a 92% adoption rate after its first year. 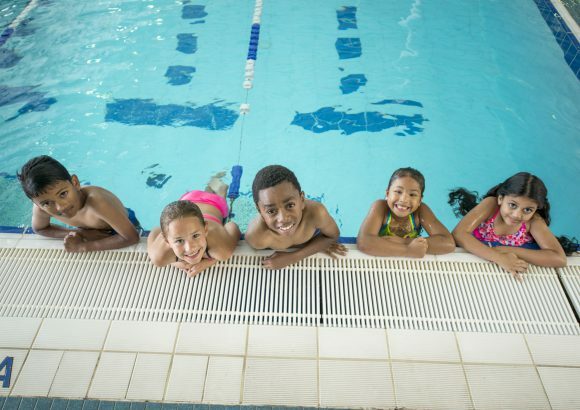 Immediately following implementation of ePACT for their summer camps and after school programs, SFRPD noticed signiﬁcant improvements to their data collection processes, from start to ﬁnish. Utilizing secure, web and mobile technologies reduced administration time and effort for staff and parents, improved the data available to support participants, and substantially minimized paper waste, aligning to their green commitments. Improved Family Process: Families only had to submit one online record per child for any and all programs they attended, reducing time over paper forms by 70%. Accurate Data: ePACT provided complete, up to date information for participants. If parents got a new cell phone, or a child changed medications, families updated their record, ensuring SFRPD had the most accurate data on hand. Enhanced Security: Using a centralized, highly secure system, administrative access was easily managed and monitored, while families’ data was kept safe, secure and HIPAA compliant at all times. Standardized Approach: SFRPD standardized its medical forms, waivers and consents, ensuring staff could better understand children’s health and support needs, and proactively prepare for issues like allergies. Staff could quickly view any child’s data in one place, and share details across programs like pick-up contacts or food restrictions. Improved Administration: Rather than search through binders of forms, SFRPD ran reports or saw at a glance which children required support. If families forgot to submit their records, SFRPD sent one-click reminders, ensuring complete data, while minimizing administration time managing and following up on forms.